One of my best friends asked me to do a post on makeup brushes. I laughed. I am by no means an expert on makeup or brushes. However, I am an expert on internet research on anything. There is nothing Google and YouTube can’t teach me. 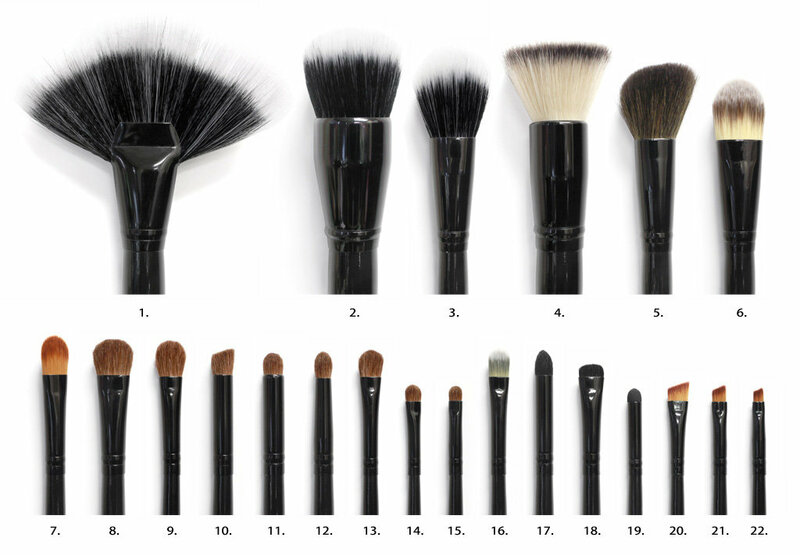 So for you, my dear friend (you know who you are) makeup brushes 101. First, a few thoughts on makeup brushes. Everything I read says the same thing. To get the look you are going for, you need the right brush. To cover a blemish, to get your foundation as gorgeous and natural as possible, you gotta have the right brush. Second, clean your brushes! Those things are ALL over your face, you want to make sure you are washing them so they aren’t growing bacteria. People say different things about how often they ought to be washed, but monthly seems to be a good rule to stick with. You don’t need anything special to clean them, shampoo will do or dish soap for liner brushes. Third, experiment. Find what you love. What one person loves may not be the same for you. I present to you, almost every makeup brush you can imagine and what they are for. Pretty, huh?! They stood out to me not only because they are a million (22) brushes, but because they have fantastic reviews and they are only $34.95! I. Want. These! Now don’t get overwhelmed. I know that there are a lot or brushes here and it seems like a lot to take on a once. Are these brushes for a makeup pro? Probably not. But for anyone at home trying to look their best? Yes. They will do the trick very nicely. Want to learn about how to use a particular brush better? The easiest way to learn a new makeup technique is to go to YouTube and watch a professional (or enthusiast) do it. YouTube is by far my favorite way to learn more about a product or technique. If you don’t need 22 makeup brushes to complicate your life, try a smaller kit like this. 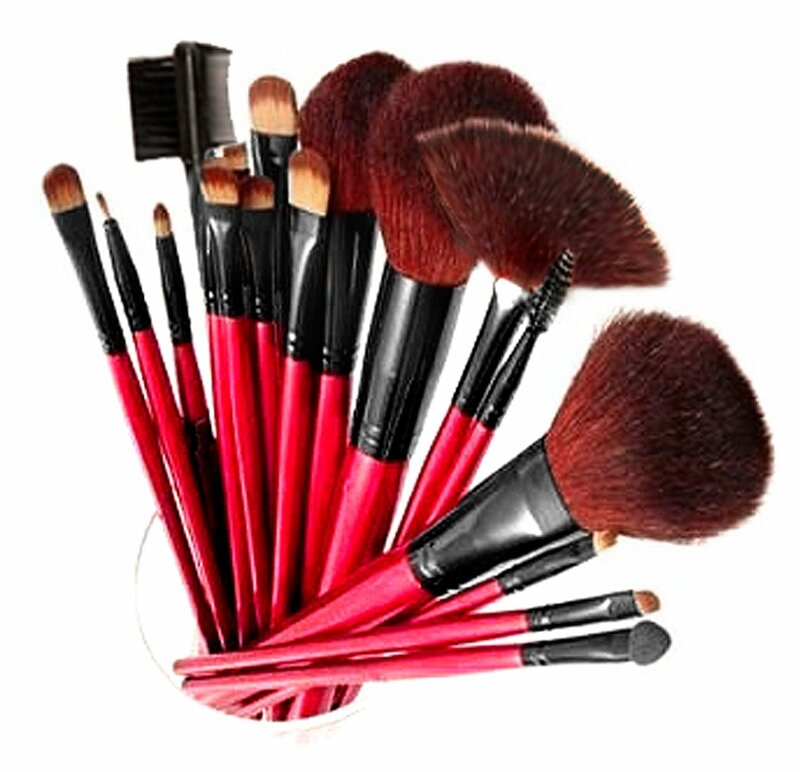 There are 13 brushes here, so plenty to do anything your casual makeup doer would need. These too have great reviews and they’re pink, AND the price is right! Only $12.99! Buy these here . This entry was posted in Beauty, Makeup on February 15, 2013 by Heather.